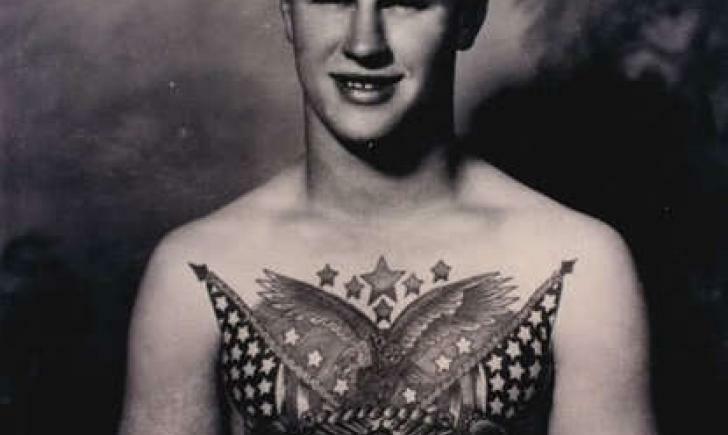 Tattoos have a long history in the military. 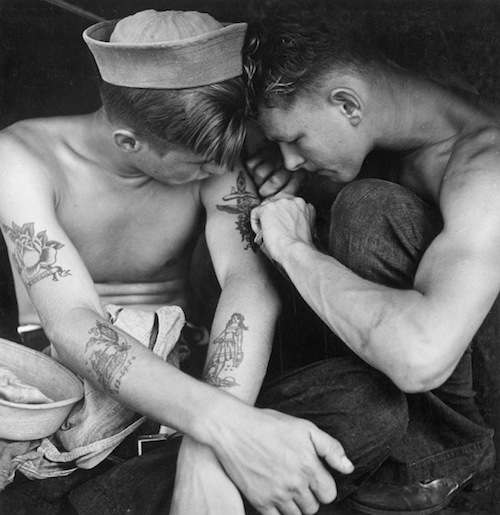 Sailors in the Navy who returned from China and Japan with hand-inked tattoos played a role in introducing tattooing culture to mainstream America. 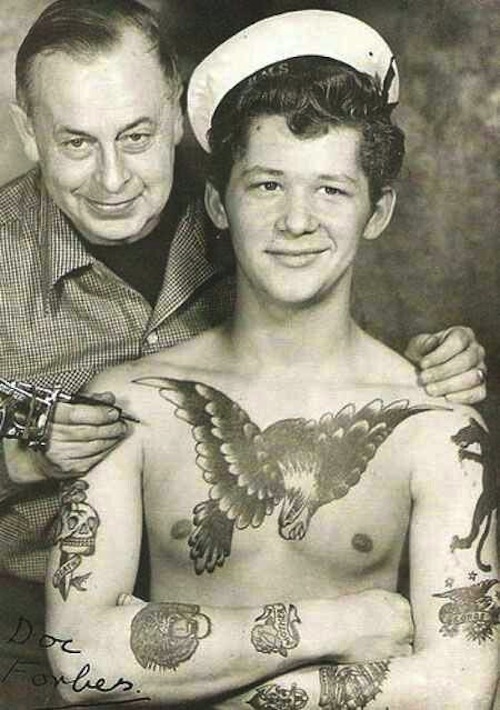 In 1846, the first permanent tattoo shop opened, and many of its customers in the coming years were military serviceman fresh from the Civil War. 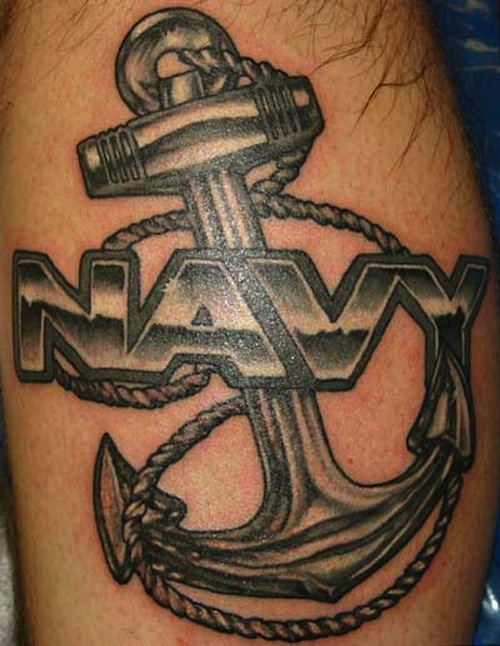 The choice of tattoo design can tell you a lot about someone’s beliefs and experiences, where they have served and whether they are a member of the Army, Navy, Marines or Air Force. The chosen image can be a way of showing solidarity and national pride or can be worn as a badge of honor or as a personal memorial to honor a fallen comrade. It can be a reminder of faith during difficult and threatening times as well as a testament to the sacrifices soldiers are prepared to make for others. 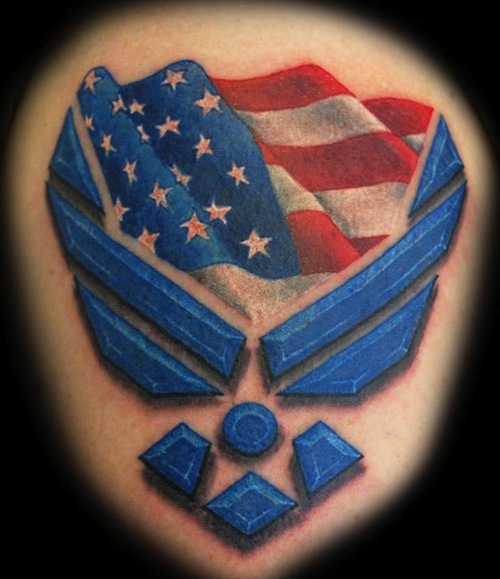 Through the years, each section of the military has acquired its own set of own iconic images which often appear in military tattoos: wings or airplanes for those serving in the Air Force, a bulldog for those in the Marines and chickens or pigs for those in the Navy, usually tattooed on the feet. 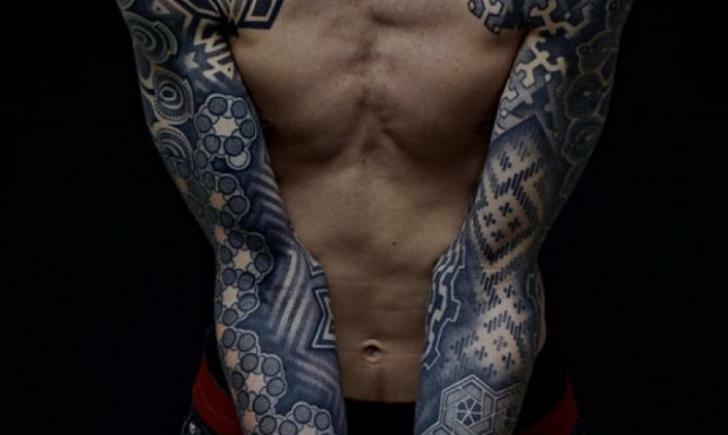 The stories behind these designs create a sense of tradition and camaraderie as the individuals sporting these tattoos join a historical band of brothers with shared experiences. 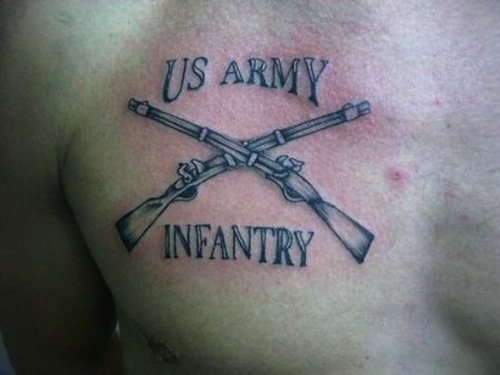 A tattoo can suggest commitment and loyalty to its permanence. 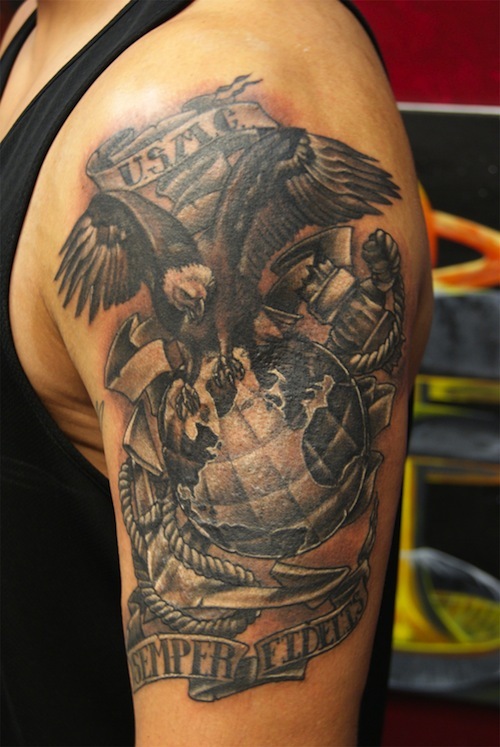 It is popular for military tattoos to incorporate meaningful symbols such as eagles, flags, crosses or flames. Including symbols relating to rank or reflecting awards or uniform decorations is another way of personalizing the design.